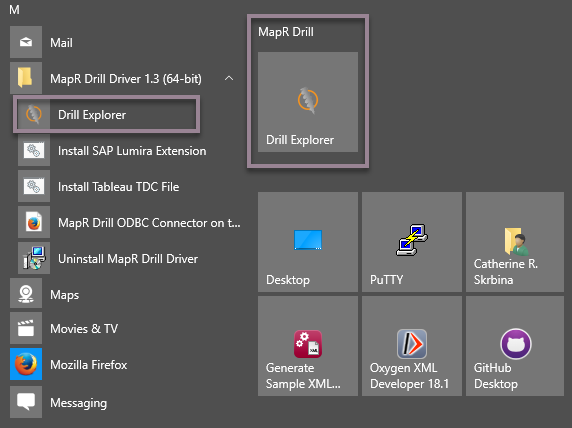 The way you start Drill Explorer differs depending on your platform, but regardless of the platform, Drill must be running. You need an X-11 XDisplay to use Drill Explorer on Linux. 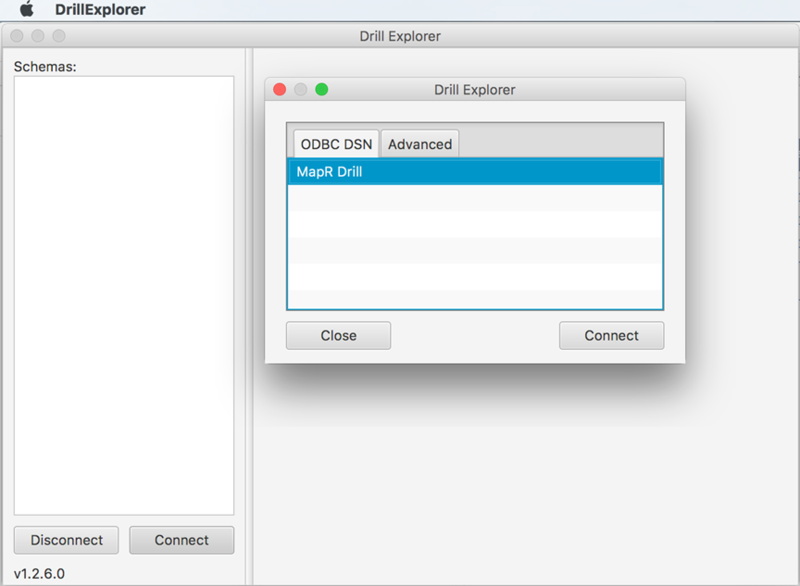 Run the DrillExplorer executable in /opt/mapr/drillodbc/DrillExplorer, and then follow instructions from step 2 in the next section, Connecting Drill Explorer to Data on Mac OS X. On a node that is running Drill, run Drill Explorer. The Drill Explorer app is located in the /Applications directory. 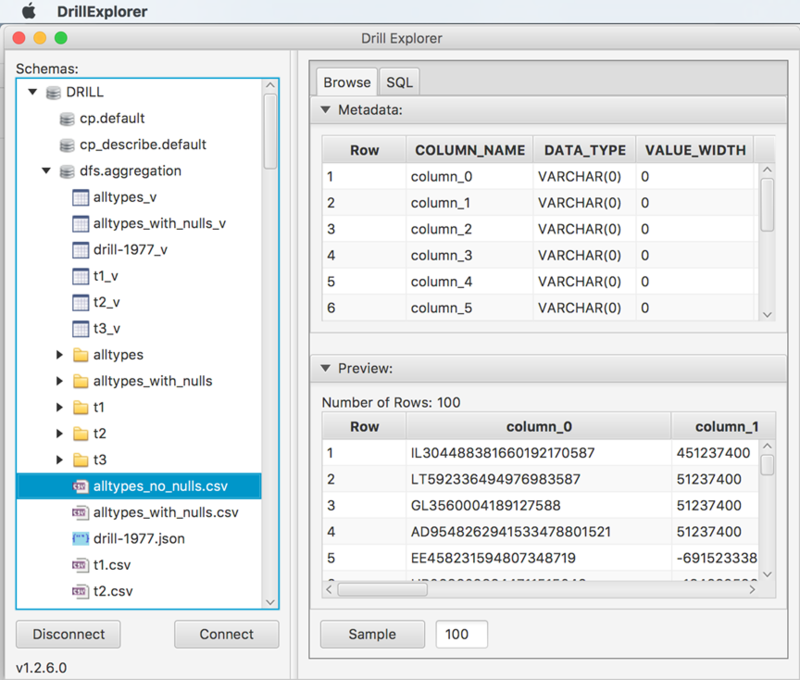 The Drill Explorer console appears. Click Connect on the console. The Drill Explorer dialog appears. If you set the Authentication Type property to Plain (or Basic Authentication), which enables impersonation, respond to the prompt for a user name and password. Click Connect in the dialog. In the Schemas panel, the schema for the connected data source appear. Click Start, and locate MaprR Drill Driver 1.3 <version>. 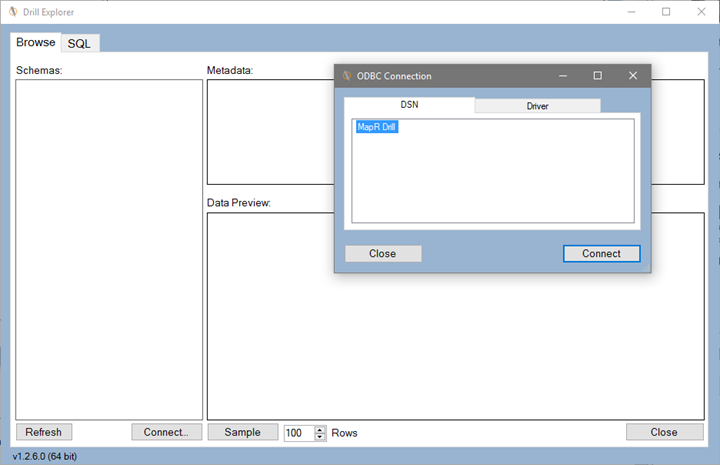 The ODBC Connection dialog with the DSN tab displayed appears in Drill Explorer. 3. Select the DSN that you want to explore. For example, select MapR Drill and click Connect. 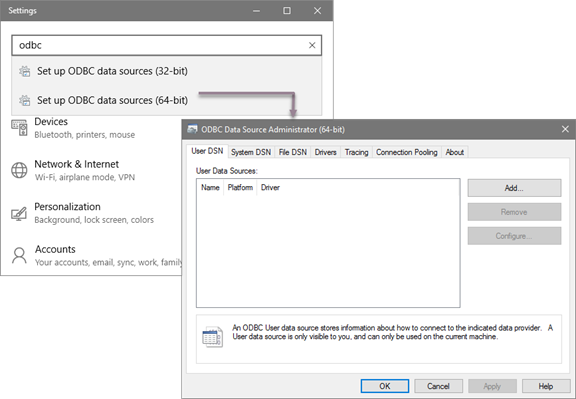 Enter odbc and select a version of the utility from the Windows Settings field. The ODBC Data Source Administrator <version> dialog appears. Select MapR Drill and click Configure. 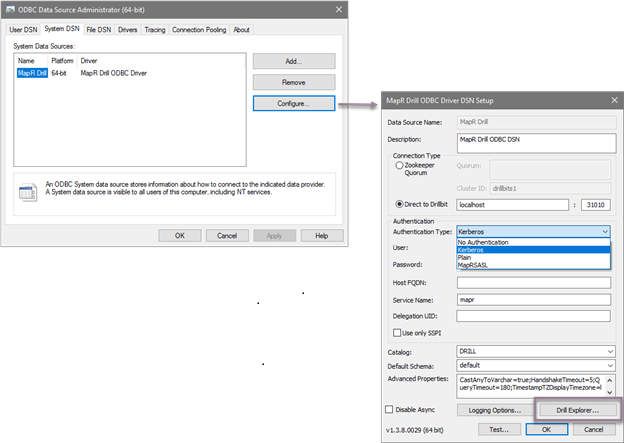 The MapR Drill ODBC Driver DSN Setup dialog appears showing multiple configuration properties. Click Drill Explorer at the bottom of the dialog. Drill Explorer appears.